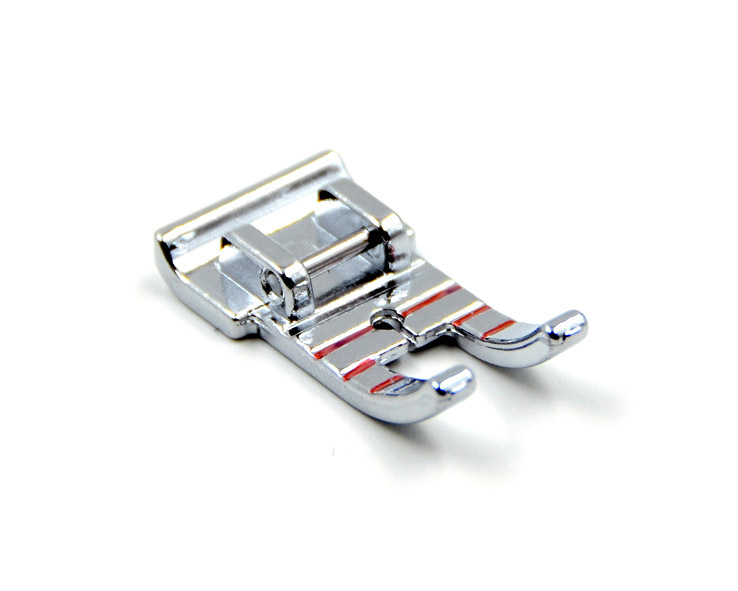 Also know as a "Quilting" foot It makes easy work of piecing and helps make perfect seam allowances of 1/4" and 1/8" on many home sewing machines. 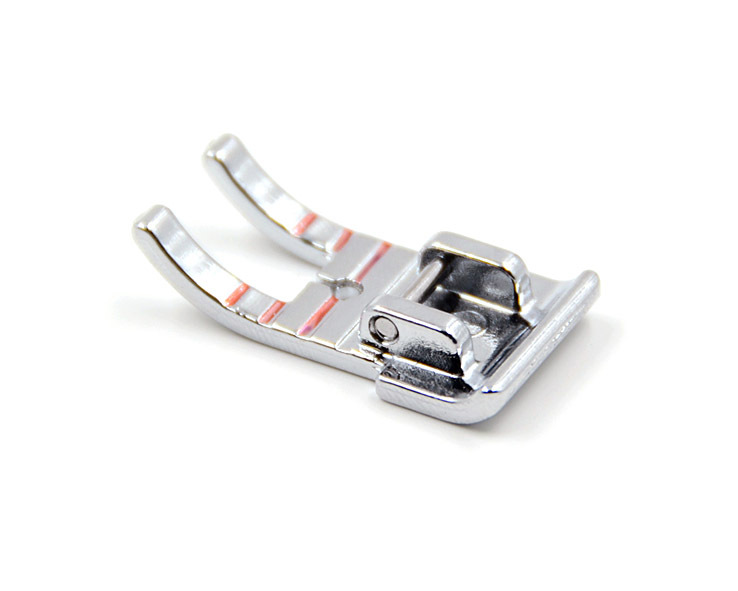 Popular with quilters while stitching patchwork blocks, this metal snap on patchwork foot is marked both in front of and behind center needle position with 1/8" color marks. Your perfect reference point for pivoting, stopping, and starting is right on the foot. The whole presser foot width is equal to 1/2". 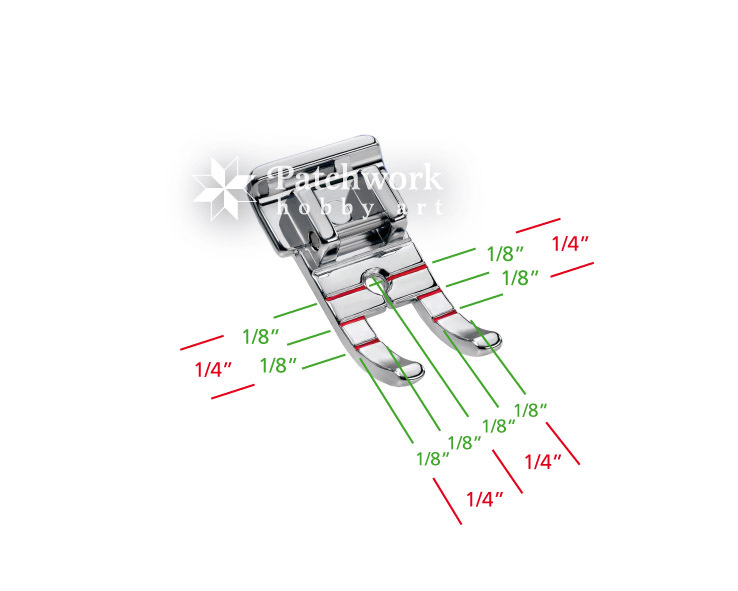 Use outer edge of foot for 1/4" seams for quilting and patchwork; inner edge is just right for 1/8" narrow seams in doll clothes, miniature quilts, and crafts. 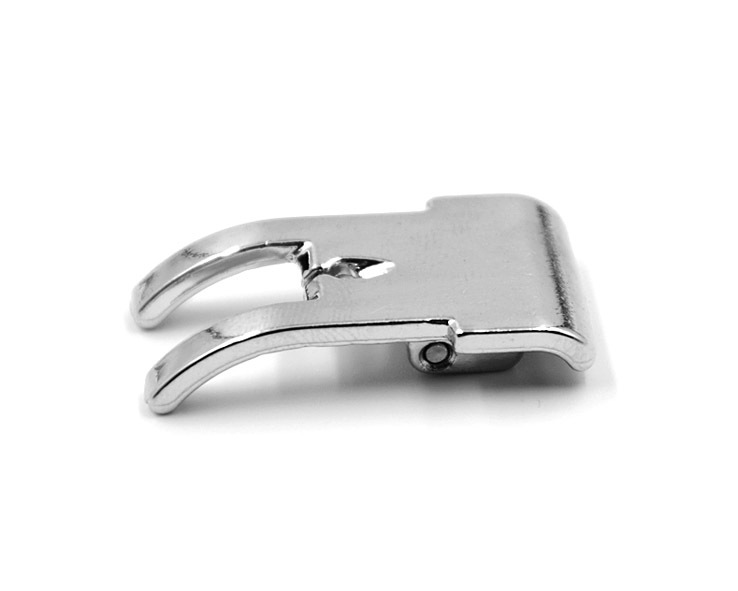 Please note: Within the sewing machines where the needle position can be adjusted - always be sure to use this foot with the needle adjusted into the center position. 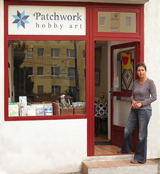 Your foot, needle and/or sewing machine can be damaged otherwise. 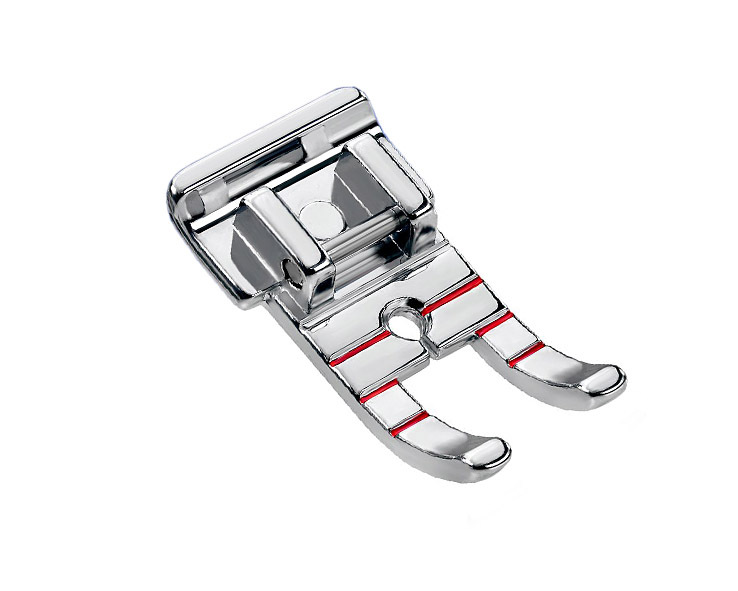 This foot fits home sewing machines with snap on foot like Brother, Janome, Toyota, Singer, Bernette, Elna, Lucznik and Husquarna.